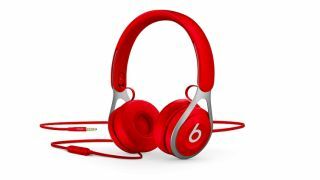 Black Friday 2018 deal: Beats headphones now only £45 | What Hi-Fi? From today and until the 29th November, Amazon and HMV are offering 21% off the Beats by Dr. Dre Solo3 Wireless on-ear headphones, now £150 down from £190. In our review of the then-£250 headphones, we found their bold and full-bodied sound lacked the subtlety and absolute insight delivered by class leaders. But the price drop certainly makes them more competitive in that area. More impressive is the 40-hour battery life, and iOS device users can benefit from seamless connection. For example, turn the headphones on and your iPhone will ask if you want to pair with them. We’re less familiar with the Beats by Dr. Dre wired EP on-ear headphones – which are now over 30% off in black, white, blue and red colours – but no doubt the iconic aesthetic will be enough to attract some. The EPs are now just £50, down from £73. Last but not least in the Beats by Dr. Dre Black Friday sale is the Powerbeats Wireless 3 sporty in-ears, which have been reduced from £170 to just £100. Perfect stocking fillers, these sweat- and water-resistant buds boast a 12-hour battery life (with Fast Fuel giving you an hour of playback from a 5-minute charge), and instantly set up to an Apple device – just power on the headphones on and hold them near it.